On Tuesday, April 2, the Lenten Retreat of clergy of the Eastern American Diocese opened with a moleben in St. Alexander Diocesan Cathedral in Howell, NJ. Prior to the start of the moleben, His Grace Nicholas, Bishop of Manhattan, greeted the myrrh-streaming Icon of the Mother of God "Softener of Evil Hearts," which is visiting from Russia, joined by clergy and standard-bearers. Praying in the cathedral were Metropolitan Jonah (Paffhausen; former Primate of the Orthodox Church in America) and clergy from across the Diocese, as well as the Patriarchal Parishes in America. "How wonderful it is for us to gathered at these conferences, in order to interact, to talk, to cry, and to support one another. This is so important during the days of Great Lent: to be strengthened in body and spirit, and to feel that, just as the monks defended their monastery together in the 8th century, so we also here, together, dear fathers and pilgrims, will defend our churches, both internal, and of course those that sanctify our Eastern American Diocese." His Grace wished all of the participants of the ongoing retreat the renewal of their spiritual strengths, an inclination toward prayer, inner peace, fortitude, and humility in bearing the labors of Great Lent and in joyously greeting Christ’s Glorious Resurrection. Archimandrite Roman (Krassovsky), head of the Russian Ecclesiastical Mission in Jerusalem, delivered the keynote lecture of the Retreat, telling those present about the history, trials, and life of prayer of the convents and communities of the Russian Orthodox Church in the Holy Land. He encouraged all of the clergy to find a time to visit Jerusalem on pilgrimage, and to take their parishioners to pray at the holy sites. After lunch, Subdeacon Peter Lukianov spoke on behalf of the Fund for Assistance to ROCOR, encouraging the clergy to become monthly donors and to acquaint their parishioners with the benevolent work of the FFA. Fr. Roman then continued his presentation with a question-and-answer session. He concluded by asking the clergy of the Diocese for their ongoing charitable support of the Orthodox monasteries and institutions in the Holy Land and, most importantly, their unceasing prayers. Deacon Michael Pavuk, Director of Development for Holy Trinity Seminary in Jordanville, NY, spoke to the clergy about the recent growth of the seminary, and the recent institution of its Master of Divinity program, which is currently undergoing accreditation review by the New York State Board of Regents. He asked for the clergy to remember the seminary, and to be vigilant for young men eager to serve the Church, who could receive an education at Holy Trinity Seminary. 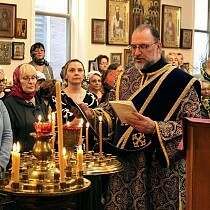 As the request of the Diocesan Council, Archpriest Mark Mancuso (dean of the Carolinas & Tennessee) read aloud a proposed letter to President Donald Trump, asking the U.S. government to intercede diplomatically on behalf of the canonical Ukrainian Orthodox Church, which is currently suffering persecution at the hands of the Ukrainian government and violent groups supported by it. Priests Mark Tyson (rector of Holy Prophet Elijah Mission in Pigeon Forge, TN) and Nectarios Trevino (rector of Holy Innocents & St. Nina Mission in Bristow, VA) then addressed their brother clergy. Both priests were clerics of the American Carpatho-Russian Orthodox Diocese (ACROD), a jurisdiction of the Patriarchate of Constantinople in America, and in 2018 left that jurisdiction in protest against the uncanonical actions of the Ecumenical Patriarchate in Ukraine. They spoke about their experiences, and both priests expressed their elation at the warm and brotherly reception they received in the Russian Church Abroad. Following their comments, Metropolitan Jonah also spoke, presenting a timeline of recent events and stressing the impossibility of any form of concelebration with the Ecumenical Patriarchate, which has now entered into communion with Ukrainian schismatics. That evening, the archpastors and clergy listened to the prayer rule for Holy Communion, and then served an akathist before the holy icon of the Mother of God "Softener of Evil Hearts," followed by Matins. 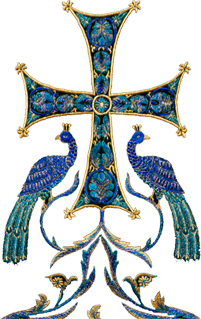 During Matins, the clergy and matushkas had an opportunity to make a full confession, in order to commune of Christ’s Holy Mysteries on the following day at the Liturgy of the Presanctified Gifts.